Recommended for: Looking to add a touch of ethnic to your wardrobe, then head to 8th Cross Malleswaram. 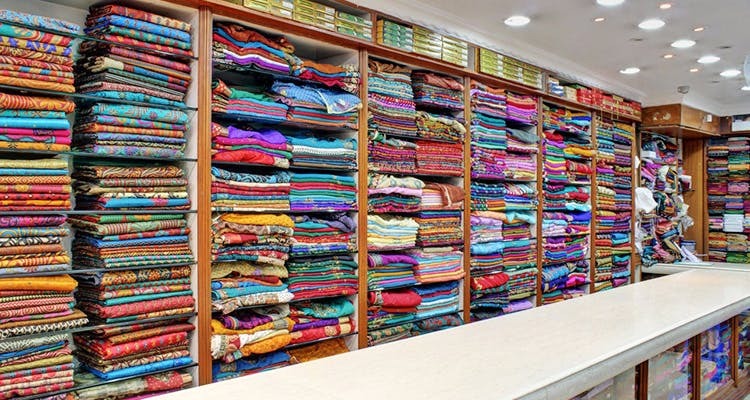 Stores like Sindhu Matching Centre is where you can get your blouse materials, right down to the last shade. Walk down to Sampige Road, and you’ll find shop after shop selling the latest silks, lining fabric and vibrant textiles. If you need a school uniform stitched, just head to TD Shah Collections for a custom-fit.